It’s all too easy for authors to focus on getting that story in their head on to the screen, or getting that new book out and about. You don’t actually give much thought to what’s happening with your books that are already out in the wider world of readers. This was brought home to me by a tentative request which turned up recently from a private library, which operates solely on donations. 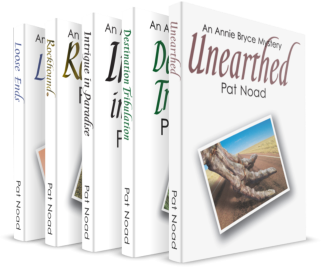 Apparently a few years ago someone donated the full set of my five ‘Annie Bryce mysteries’. A couple of those books, they told me, had been read to death and were now so bedraggled they were having to withdraw them from circulation. Would I consider donating replacement copies? Read to death? Does that mean loved to death? Let’s hope so! – what more could an author want? Of course I will replace the books. It’s a salutary reminder that readers are making their choices out there, and talking to each other, and sometimes my books are part of those conversations. As I have said before, it’s the readers who are the lifeblood of writing. 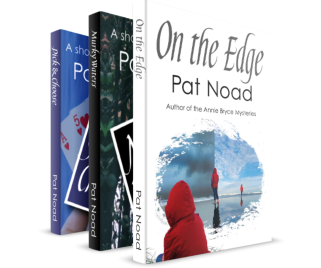 I loved this post Pat…would like to know the titles of your most popular babies…what better praise could an author get than to be told that their book has been read and reread…well done. How absolutely lovely and what a compliment.